From working with many nightlife marketing professionals and club promoters over the last few years, 212 Tax and Accounting Services knows it is not easy to manage your daily finances and expenses while trying to constantly “make the sale” and attract your best clients to a nightclub, lounge, bar or other Manhattan venue. This is why you should turn to us for the important tasks of organizing your bookkeeping and planning your financial future. We will clearly explain all of your tax options and even help you decide what is best for you considering your current financial situation. When it comes to accounting questions related to marketing and promotion, we’ve got you covered. 212 Tax can help save you money, from optimizing the way you declare your expenses to managing payroll and Quickbooks for you. We can even help you weigh the pros and cons of incorporating or setting up an LLC and handle the whole start up process for you. 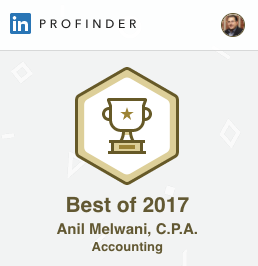 Contact us today to schedule your consultation with Anil Melwani, CPA.